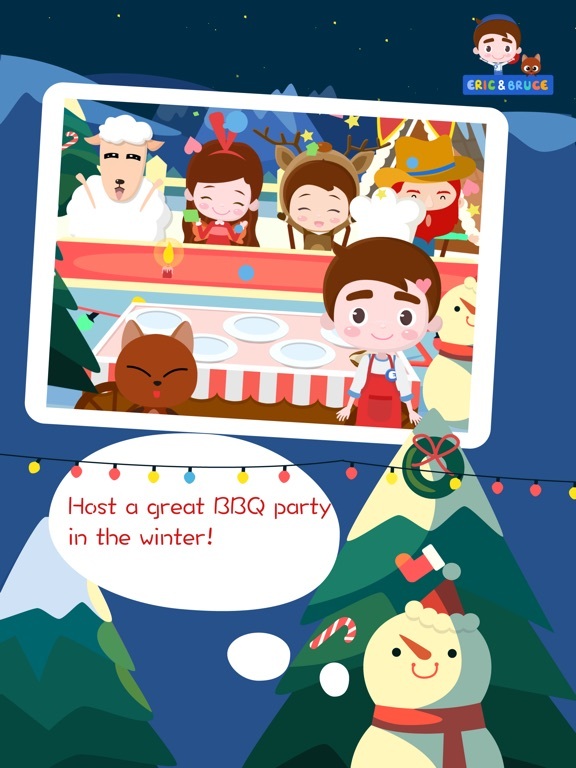 Eric & Bruce BBQ Party is an engaging free-play app that allows children to experiment with various foods and recipes as they create delectable delights for the town to enjoy. 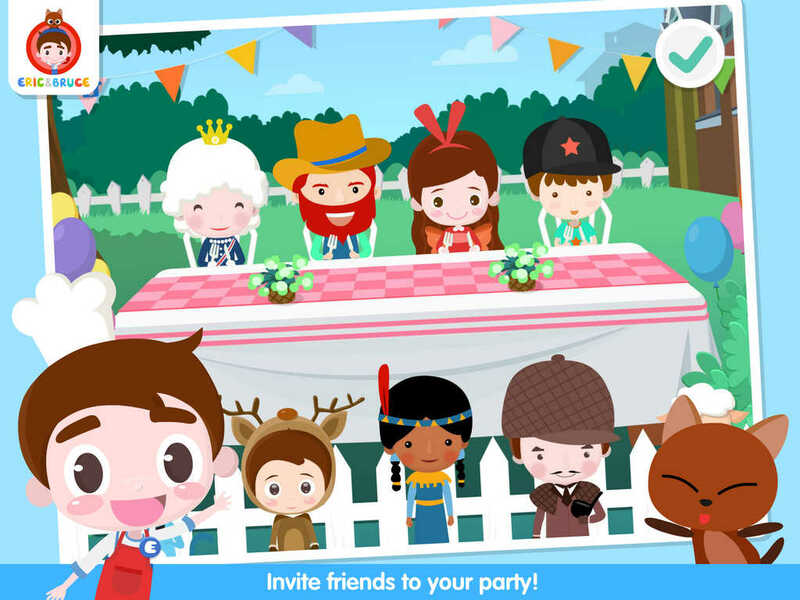 This BBQ party gives little chefs lots of interactive play time to cut, chop, toss, and create whatever their creative minds can come up with. 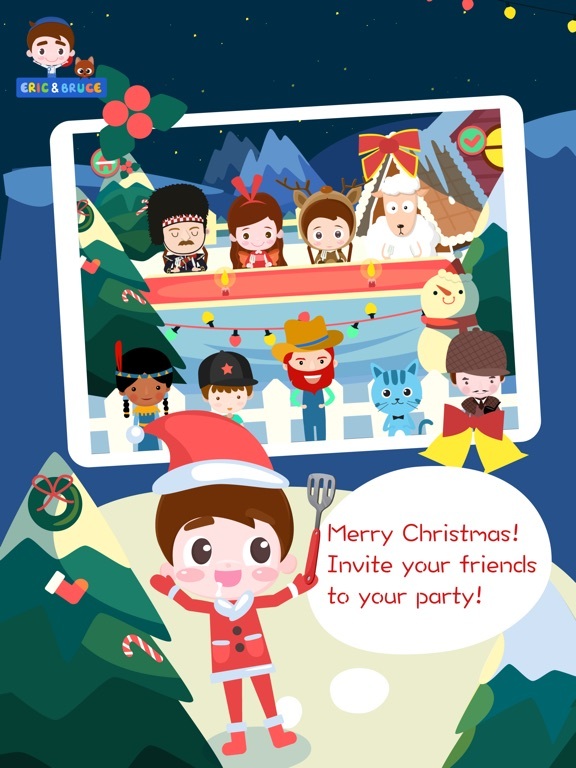 Simple to use and highly entertaining, Eric & Bruce BBQ Party is fun for children of all ages. 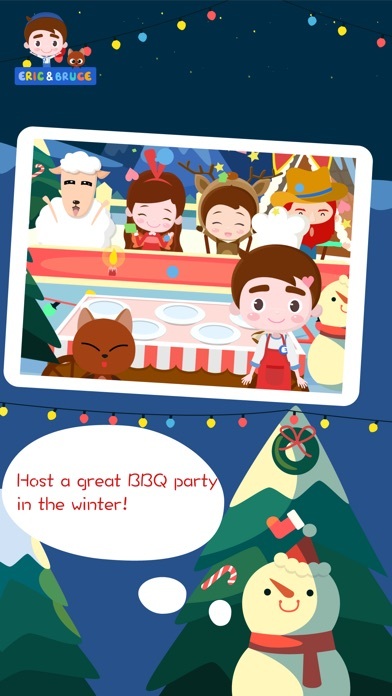 There is no doubt the developers put a lot of work into the interactive images and sound effects in Eric & Bruce BBQ Party. The illustrations are brightly colored, fun to interact with, and the sound effects (i.e. chopping, squeezing, and sizzling) add a realistic feel to them that children will love. 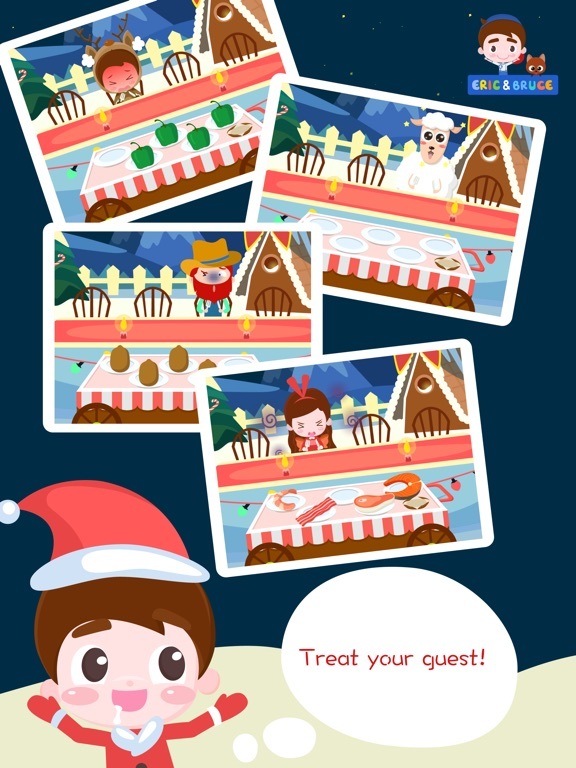 The user interface is also quite intuitive with simple tap and touch functioning and gentle reminders for players should they get stuck moving through the app. 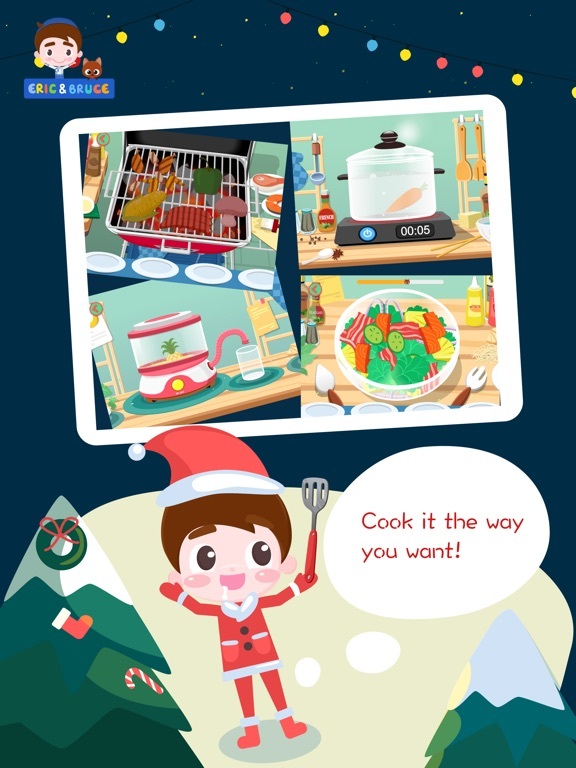 While Eric & Bruce BBQ Party is very much an entertaining app, it does offer experiential play that allows users to learn a bit about cooking as they play. 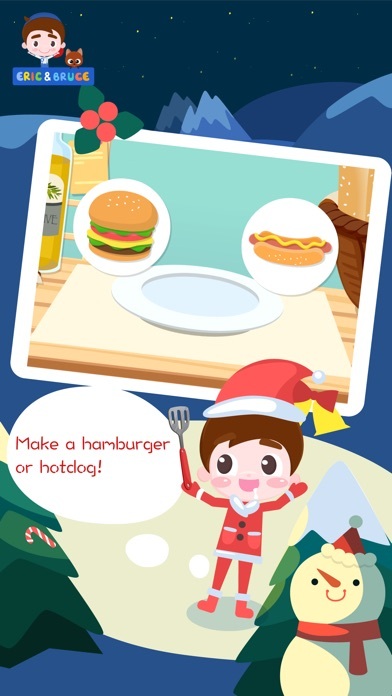 The app offers lots of various foods to explore and provides children the opportunity to get creative with their own recipes in a free-play environment. The developers could certainly add a bit to the educational value by including names of the foods to help children identify various fruits, vegetables and meats. As it is now, this app isn’t the most educational app around. Children are going to love the free play environment that allows them to select 4 guests at a time to create fun food concoctions for. 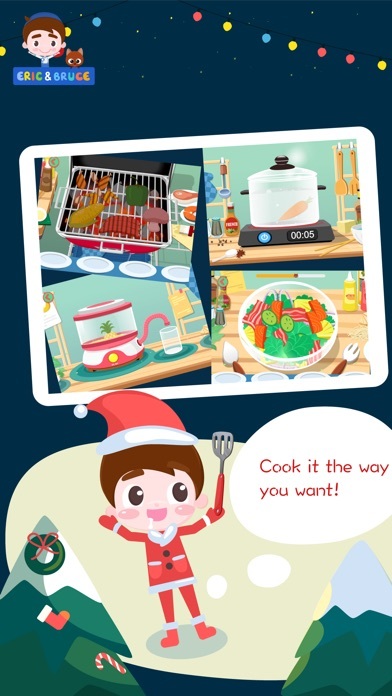 After selecting the characters they will cook for, players are provided 27 different foods they can choose to use as ingredients. Once the ingredients are selected, they can then grill, toss, simmer, or chop their ingredients to create a fun meal to serve to their guests. The best part is that children can experiment and play over and over again with the free-play set up. Priced at just under three dollars, this app is priced well for what you get. 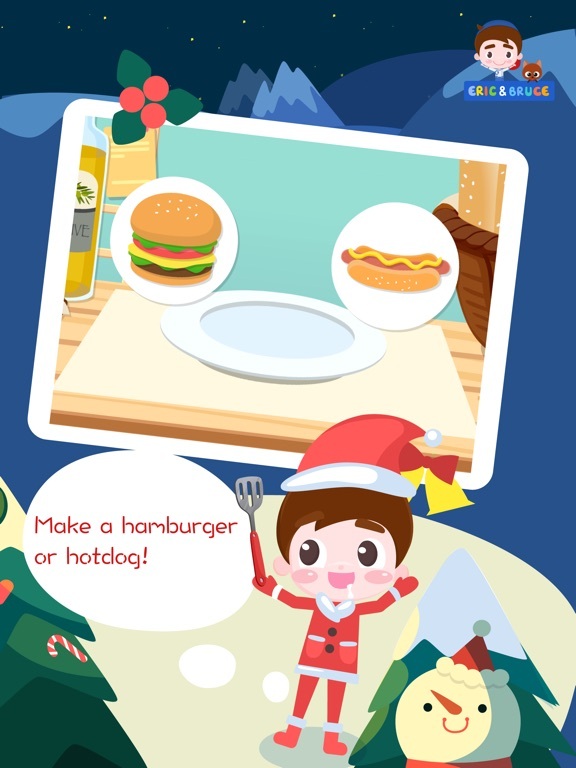 With 27 foods to choose from and endless playing time, children can enjoy this app over and over again creating new dishes in a variety of ways. 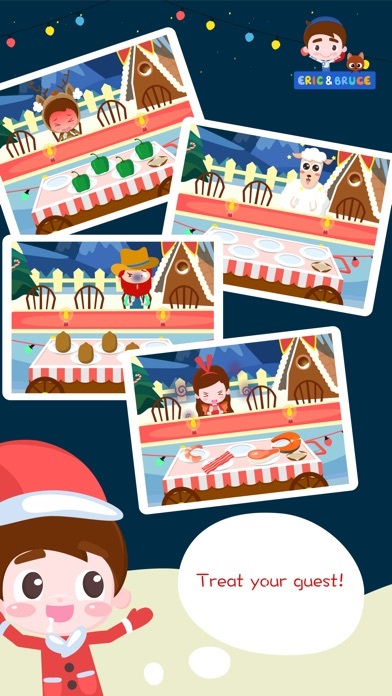 This is one app children are going to get a ton of playing time out of. 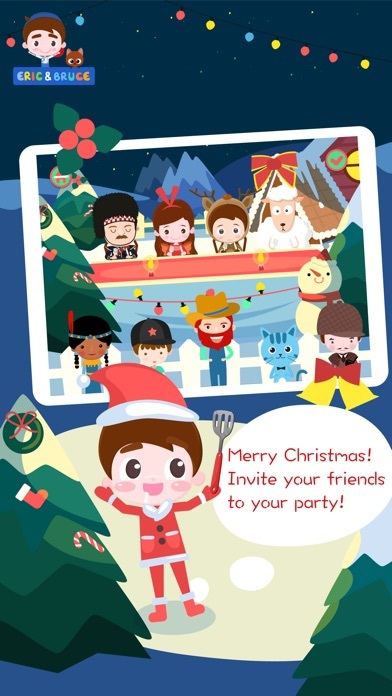 The developers have done a great job creating an app that is great for children of all ages. With an easy to use interface, free play environment, and simple indicators for children if they get stuck. Parents will also appreciate the fact that all parents-only areas are protected so children won’t get distracted from playing.